Hot off the presses, our friends at Melissa’s Produce have once again rocked the recipe world with a new cookbook devoted to one of our favorite ingredients: peppers. 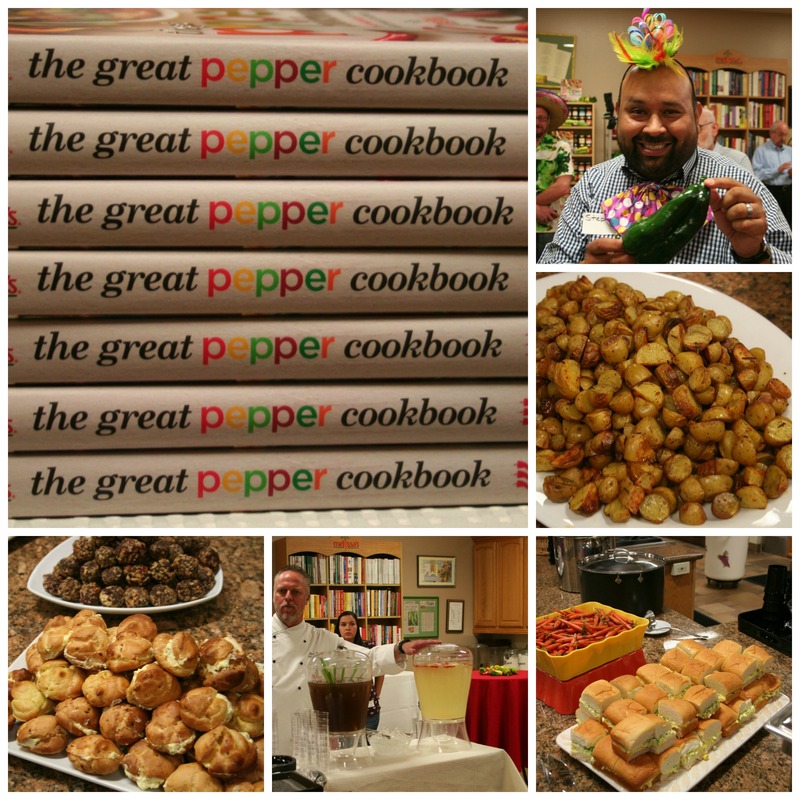 We went to the book launch of The Great Pepper Cookbook and sampled their spicy bites and sweet treats. 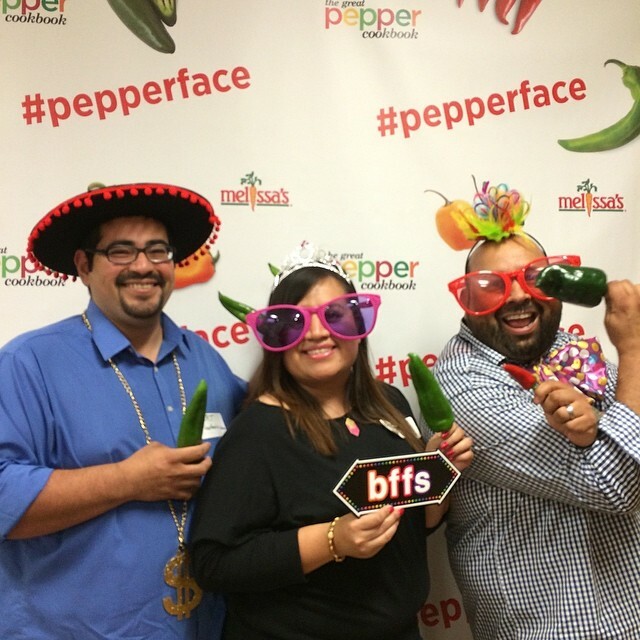 Melissa’s Produce is the largest variety distributor of fresh and dried peppers. The great cuisines of the world are often steeped in the flavor and heat of peppers. With peppers’ popularity on the rise in America, cooks of all skill levels are looking to peppers to take their food to the next level. This new book has 150 recipes that incorporate 37 different varieties of peppers. Before you dive in, check out the colorful Scoville scale chart at the front of the book for an easy guide to heat. Following that are a few pages with more indepth pepper profiles. 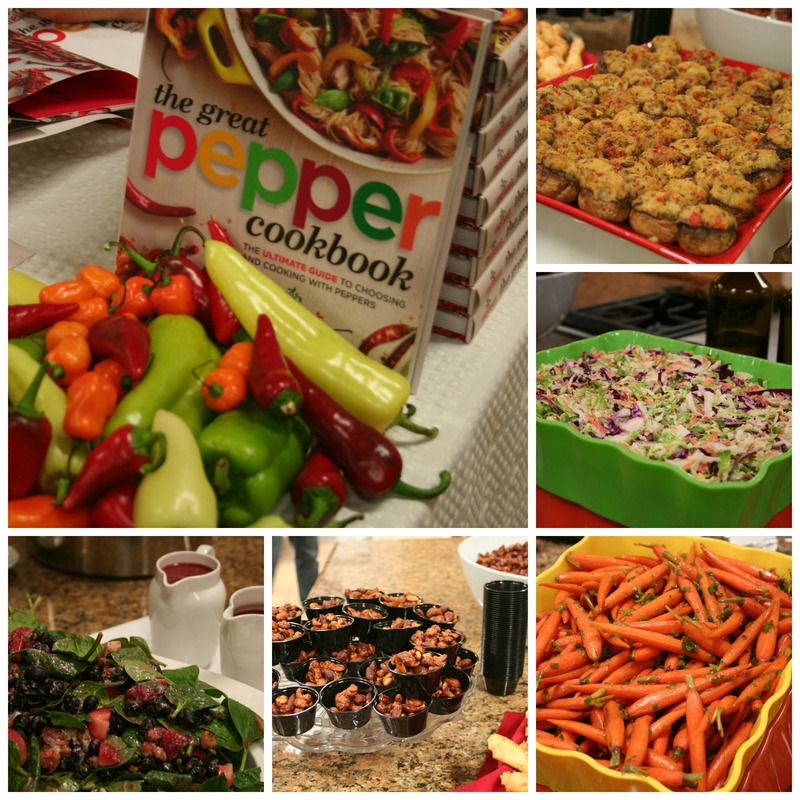 We want to celebrate the launch of The Great Pepper Cookbook by Melissa’s Produce, and you can too! The book is available at Melissa’s Produce website. We snapped a few pictures of some of the dishes from this book. Easy starters included Sweet, Smoky, Spicy Party Nuts, Cheddar-Chile-Lime Breadsticks, and some unforgettable Spicy Red Fresno Stuffed Mushrooms. My favorite sides were definitely the Glazed Jalapeno Spiced Baby Carrots, Chile Roasted Baby Dutch Yellow Potatoes, and the soups! Everyone was talking about the Albondigas Soup with the fresh roasted Poblano chile and the Roasted Butternut Squash Soup that had the perfect amount of smoky red Fresnos. Other favorites were the Egg Salad Sandwiches with Pepper Relish made with fresh shishito peppers and Pollo en Crema made with smoky dried chipotle peppers. We washes it all down with lemonades. Yup, but pepper infused lemonades: Red Hot Lemonade and Lemongrass-Ginger Cooler made with fresh ginger and jalapenos. And we could not leave without dessert! Chile-Lime Cream puffs with fresh Serrano peppers and Chile-Chocolate Mole Truffles. That’s right folks, Mole Truffles made with dried ancho and chipotle chile peppers! So get the book and get cooking! For more information on Melissa’s and their cookbooks check out their website or Facebook. But for now enjoy this book trailer that was put together by the creative team over at Melissa’s.